¤ Kim Richey's Yep Roc debut album is a smart, sensual understatement that may be one of her best. The dozen songs themselves show that Richey's still dreaming up fetching melodies that arc and bend in unexpected ways, and still discovering fresh angles from which to articulate matters of the heart. The array of top-tier guests include Trisha Yearwood, Jason Isbell, Wilco's Pat Sansone, My Morning Jacket's Carl Broemel, and Will Kimbrough. ¤ "Kim Richey‘s recordings have always too mercurial to pin down. She’s stubbornly followed her muse down the lanes of contemporary country, Americana and adult alternative pop, but has never stayed in one place too long. Thorn in My Heart possesses country music’s spirit at heart, but it’s not exactly a country record. Produced elegantly and sparely by Neilson Hubbard, it is a brave, confident collection that is irredeemably melancholy. In order to pull this off, a songwriter needs to possess the twin gifts of lyric and musical understatement. Richey doesn’t disappoint. Her characters are honest, vulnerable, wary, and confused; their disappoint- ment never bitter; their optimism never totally vanquished when things don’t turn out properly. They are lovers hopeful, wary, and wronged (but never commitment-shy), family members, and those who want to flee from dead dreams and bad relationships. Richey’s characters on Thorn in My Heart inspire strong empathetic ties with listeners via simple, beautiful melodies and lyrical accuracy by turns poetic and accessible. It is yet another in a string of excellent releases by her, but it’s also something more. It integrates everywhere Richey’s been yet inhabits a terrain completely of her own design." ¤ Un album très agréable à l'écoute, de belles mélodies et un choix judicieux d'invités. ¤ A découvrir. 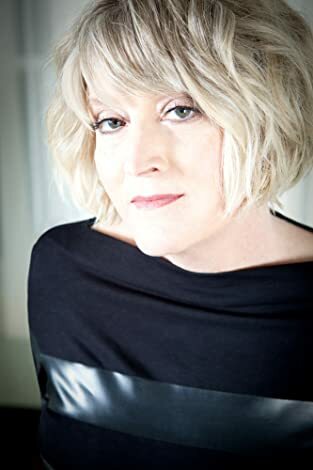 ¤ Those artists who find themselves stuck in deep ruts two decades into their careers could learn a thing or two from veteran singer-songwriter Kim Richey. She’s never been afraid to go where the inspiration is, recording each of her first six albums with different collaborators in different locales. For her seventh album, Thorn In My Heart, she decided to do something quite brave for a nomadic soul: continue a tried and true partnership. For the second album in a row, she enlisted her multi-talented, East Nashville-based bandleader Neilson Hubbard as producer. ¤ Rounding out the core studio band were a pair of guitarists Richey knew well, Will Kimbrough and Kris Donegan, and a rhythm section that was new to her, drummer Evan Hutchings and bassist Michael Rinne. Likewise, the array of top-tier guests included Wilco’s Pat Sansone and Trisha Yearwood, both of whom she’s known for years, and newer acquaintances like Jason Isbell and My Morning Jacket’s Carl Broemel. Richey had contributed plenty of songs and vocals to Yearwood’s recordings, but this was the first time the country legend had had the chance to return the favor. When she joined Richey and Isbell on the gentle roots-rocker “Breakaway Speed,” Richey marvels, “the whole thing just elevated.” Chuckling, she adds, “I was really happy that she sang on it, and on the other hand, I was really bummed out: ‘So how many records have I made and not had her sing on them?’ So we made her sing on “Come On”. ¤ Richey’s openness to exploration has enabled her to slip into and out of a variety of different stylistic modes on her albums. And considering this collection marks her return to sumptuously understated roots-country territory, Yearwood’s voice is a fitting addition. 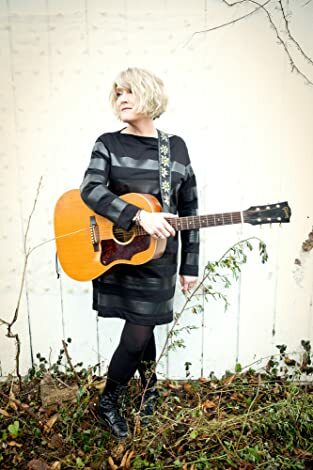 ¤ Early on, the Zanesville, Ohio native thrived on the progressive side of mainstream country, her albums (1995’s Kim Richey, 1997’s Bittersweet and 1999’s Glimmer, all on Mercury) showcasing twang-pop sensibilities, a rich, rounded vocal tone and effortlessly sophisticated songwriting that other discerning performers—Yearwood, Radney Foster and Pam Tillis to name a few—coveted for their own recordings. ¤ In the years since, Richey has made her subtly psychedelic album Rise (Lost Highway) with producer Bill Bottrell, flown to London to enlist the help of Giles Martin—whose father helped the Beatles work their studio magic—emerging with the crisply orchestrated Chinese Boxes (Vanguard) and turned to Hubbard to conjure the earthy indie-pop feel of Wreck Your Wheels (Thirty Tigers) as well as to complete Thorn In My Heart, her first album for Yep Roc Records. ¤ Even with familiar collaborators, Richey faced foreign pressures in the creative process this time. At the moment that she agreed to deliver a new album, she had absolutely no idea what she would put on it; writing-wise, she was starting from scratch. ¤ Richey recently wrapped up three years of songcrafting in cosmopolitan London and has gone about as far as she can in the other direction, securing herself a doublewide trailer and plenty of quiet half an hour outside of Nashville. ¤ Coming from a seasoned songwriter and sojourner like Richey, that’s well-earned wisdom.